I recently went away for a week sans kids and husband. It was soon after I finished doing the 30 Day Shred again and I wanted to keep my work out habit going and build on the momentum of my success with it. I was originally inspired to do the 30 Day Shred after reading Nurse Love’s Farmer’s post about it and I remembered that she also did a post about doing Jillian Michael’s One Week Shred. I didn’t have an event I needed to be “shredded” for coming up in a week, but I was curious to see what effect this program would have, especially since Jillian claims that you can lose up to seven pounds over the course of the seven days. However, this requires following her eating plan and not only do I refuse to diet, even if I wanted to I couldn’t because I was in a hotel with limited cooking ability. But I did try and stay mindful of my food choices because I do want to lose a couple more dress sizes from where I am. And since I was going to be away for seven days, wanted to keep working out, enjoyed the 30 Day Shred and would have the time to do it, I thought, why not? The One Week Shred is supposed to be a “crash” workout program to get you into shape in just one week before a special event, like a wedding or vacation, where you want to look good. You have to do two 30 minute workouts a day – a strength workout in the morning and a cardio workout in the evening. According to Jillian, she separates the workouts to get “double the calorie after-burn”. The strength workout is broken down into a warm up, fours rotations (each done twice) and a cool down. The cardio workout is broken down into three rotations (also done twice) and a cool down. The only equipment you need is a couple hand weights. Jillian uses 3lbs weights but I used 3kg (about 6.6lbs), which worked for me. Honestly, I did not like this program. Its a major pain to have to do two separate workouts. Even though I had the time, I wasn’t on vacation so I still resented the extra time required getting changed into and out of workout gear twice, the two showers, two post-work out recoveries etc more than I anticipated. I was tempted to just throw in the towel after Day 3 – in fact, I only did the strength workout on Day 4 because I had a bad night’s sleep and just did not have the energy to do it in the morning. I did it in the evening with the plan of doing the programs back-to-back, but I ended up choosing sleep over cardio in the end. However, I kept going the next day. I did pay for it (I hate buying something and not using it) and I knew I wouldn’t get an opportunity to do it again because there is no way I’d find the time and energy to attempt this in my normal life. And Jillian does keep reminding you “its just for a week” and “you can do anything for a week”, so I stuck with it. What was disappointing though is that I didn’t like a lot of the actual exercises. There were some repeats of the ones from the 30 Day Shred, but in this one Jillian tries to add awkward move combinations together in many of the exercises and I found that I would have to stop and watch the screen a lot, trying to figure out what the heck I need to do. It wrecked the flow of the work out and I can see people getting injured attempting some of these or just doing them wrong and not getting the intended benefit from them. Or maybe I’m just not that coordinated. Its a shame because I did like most of the exercises in the 30 Day Shred and was hoping this would be more of the same. Another interesting thing I noticed is that I started to do more of the modified versions of the exercises as the week went on, whereas with the 30 Day Shred I started with the some modified and moved on to do all the advance moves. I think its because the exercises are so intense that they shouldn’t be done for seven days in a row – my body clearly needed a break but instead of taking one, I ended up “phoning it in” on some of the exercises that normally I wouldn’t have. On to the results. When I got home, I was surprised to learn that I actually *gained* about 2lbs! I’m not sure if its because other than the workouts, I wasn’t as active as I am normally and the calories just got to me or if its added muscle (I suspect a combo of the two) or if its just normal weight fluctuations (I retain more water during certain times of my cycle) but when I look at the pictures, I think it goes to show that you can still get thinner without losing weight. So on to the photographic analysis. The “Before” shots are on the left with the pink sports bra, that are actually the “After” photos after completing the 30 Day Shred again. The new “After” after photos are on the right with the black one. Overall, I do feel like I *look* a teeny bit more toned in the “After” photos. That said, I’m not sure if its due to the lighting, as the photos were taken in different rooms at different times of day. Not sure if its the lighting, but I feel like my tummy does look more toned in the “After” pic. Now a close-up en face. Profile close up. Abs look better to me! Even though you could argue that I do *look* a bit more toned in the “After” photos, I would still not recommend this program. I don’t think it will get you the results you are hoping for if you truly are looking for a one week solution to get ready for an important event, even if you stick to the eating plan. I know I personally will not be doing either of the workouts again and will definitely not be doing the week-long program. Also, if you are a postpartum mom and were hoping to do this program to “jump start” your post-baby fitness or weight loss, I REALLY do not recommend it. Most of the exercises are bad if your pelvic floor isn’t properly healed after birth and I guarantee you will injure yourself. Please get checked out by a pelvic floor physiotherapist before doing this or any other type of intense exercise after giving birth – even if you’ve been given the green light to workout by your doctor or midwife. Like I discuss in my second time doing the 30 Day Shred, I’d recommend doing a post-partum pelvic floor rehab program like the one you can find at Healthy Habits for Happy Moms. Its not cheap but honestly worth every penny. Up next for me fitness wise? I’ve downloaded an App called “Sweat” which gives you three strength and three cardio programs to do during the week. I’m also doing the Walk This Way Challenge – going for a 30 minute walk every day for the month of May (this seems easy, but its actually much harder than you think to actually do it – I challenge you to try!) and hope the weather will finally cooperate so I can start running again. Many money management blogs will focus on ways to save money by doing little things over a long period of time – things like meal prep, not buying coffee every day, budgeting for the holidays, shopping around for savings etc. And while those things are certainly important, I think its also important to consider areas where you can save a LOT of money in a short amount of time. One of those things is by selling your home yourself and not using an agent to avoid having to fork over the commission. This is something I’ve now done several times – I’ve sold two homes and leased/rent several properties without using an agent and each time I’ve managed to do better than realtors had told me I’d get. So I decided to make a series of posts on this topic. I’ll start with this one – helping you determine if selling your house yourself is something you should do – and I’ll follow it with tips on selling your house as well as how to choose the best agent, if you decide selling your house yourself isn’t for you. In most countries, real estate agents charge a commission – i.e. a percentage of the sale price of your home – as their compensation for selling your house. In Canada, the buying and selling agent will typically charge 2.5% each – or 5% total. In New Zealand (where I’m currently living), only the selling agents get commission, and its typically 4.5% + GST. Now this can amount to be a HUGE chunk of change. The average home in Canada now sells for about $475,000. This means that when you sell your house, you will have to pay the realtors $23,750 in commissions alone . Also, if the house you sell is your primary home, this money would also be free from capital gains tax, so it would be ALL yours to use as you please. That money could be used to pay off debt, beef up savings or a down payment for another home (so you don’t have to get as high a mortgage). And that is just the average – this number gets higher the more you sell your home for. This leads me to another reason – many agents are just not that good, and in my opinion don’t really earn that generous commission. But it doesn’t take an idiot to do the math above and realize that if they are able to sell just a few houses in a year, it can effectively replace a 50 week, 9-5 salary – for significantly less work. Granted, realtors don’t get to keep the entire commission (some goes to the brokerage, overhead costs, taxes etc) but in a hot market like we are currently experiencing where houses often sell within days of being listed, for ridiculous sums of money and no conditions, its no wonder that the number of real-estate agents is at an all time high. In what other profession can you take a quick course, have no post-secondary education and be licensed to work within a year, getting paid upwards of $20,000 per sale? Its no wonder that in Toronto alone, the number of licensed agents has doubled over the past ten years. As a result, there are a ton of inexperienced agents out there that really don’t know what they are doing any more than you do. Another main driver for me was the fact that selling your home is work to you regardless if you use an agent or not. In most cases, YOU have to clean/tidy your home before showings or open homes, YOU need to organize your family to be elsewhere when these showings take place, YOU need to pay for staging, YOU choose who to sell to and where to compromise and YOU have to pay for a lawyer to deal with the legal stuff. You should also some market research to know what to expect what your home will sell for – sometimes agents will low-ball a house just so they can sell it faster. For every $10,000 the agent gets $500 extra – it might not be worth the extra effort to a realtor to market a house for $10,000 or $20,000 more for a few hundred dollars but to the seller, that is a lot of money, especially if that is what it is worth and could sell for. So whether or not you use an agent, YOU should still know approximately what your home is worth. In sum, a lot of it is on you anyway, so shouldn’t YOU get some compensation for that? However, selling your house yourself is still work – don’t kid yourself – there is a reason that there is a whole profession dedicated to selling houses. So I’ve developed a guideline to follow for when it would make sense to do it yourself. You have time and are flexible. This is one of the main reasons I do it myself. I am a work-at-home mom and I was available to show my house at any time, on any day of the week. I’ve even had people ring the doorbell and asking to have a look because they knew they’d be dealing with the seller directly anyway and I was able to show it. No need to worry about a busy agent showing another client’s house or personal time and potentially losing a sale. In a seller’s market. This is when house prices are on the rise and supply of houses is low. Basically, the situation right now in many big cities like Toronto or Vancouver or Auckland. Buyers have to be less picky and can’t put as many (or any) conditions on purchase, which pretty much guarantees you the sale if your home is in the location they want. Your house is in an excellent location. There is a reason that “location, location, location” is the dogma of real estate. If your house is in a good location, even if its the worst house on the block, it will sell. And in a market like this? It will pretty much sell itself and will sell very quickly. You aren’t easily offended. Look, buying real estate is a big deal for most people, so purchasers will be critical (in order to not seem too keen, because its easy to criticize when its not your home, people have different tastes etc) and it may be hard to hear someone mutter about the hideous curtains/wall colour you lovingly chose, renovations you’ve done etc. You can’t let it discourage you. You have some business savvy/confidence and be a bit of a risk taker. A home sale is a business transaction at the end of the day. You need to know how to market your home, stage it and understand the market well enough to be able to negotiate effectively (I will do a post on tips to sell your home soon). You are and can afford to be patient. Selling your home yourself will probably take longer than with an agent. Selling agents may avoid showing your house to potential clients (since they don’t get any commission), buyers themselves may not want to deal without agents and in general you will not be able to reach the same number of potential buyers that an agent can. It can get discouraging when you put in all this effort to get it ready only to have no or little interest after your first open home. But if you are able to give it some time, selling yourself may be a good idea. Remember, you can only have one buyer at the end of the day and chances are that if you are in a sought after area, you will have no problem finding interested buyers. That all said, there are times when I would recommend using an agent. You are just too busy and don’t have the flexibility to show the home whenever a potential buyer is interested, it really is in your best interest to use an agent. In a buyer’s market. This is when there may be an abundance of houses or the market has cooled off for whatever reason and a realtor will potentially be better able to reach a bigger network of interested buyers and be better able to help you negotiate. This is where an experienced agent is key. Your property is very unique or difficult to sell. The easiest houses to sell are those that appeal to a larger group of people – that also means they are pretty conventional and in popular locatoins. But if your property is very unique – for example, its a luxury property, or has some unique features, or is in a less than desirable location – a good agent that specializes in that type of real estate would be good to use to make sure you are getting the best price. You are not a natural negotiator and/or don’t like conflict. There are some people who are born sales people or negotiators and there are some who aren’t. The latter are the people who will mess up selling their own home and will be the horror stories that realtors will tell potential clients with glee. Like I mentioned before, selling by yourself is work and its not as easy as it looks. You need to sell ASAP. If you have to move quickly, I’d recommend using an agent for sure. My approach to selling on my own involves having a timeline of how long I am willing to list without an agent before giving in and getting an agent and still making the timeline I want to have my house sold. If you don’t have the luxury to wait it out selling yourself, don’t do it. Convinced yet? If so, stay tuned for my next post which will include tips on how to sell your home yourself! A friend of my sister’s, who is a newlywed, recently told me she really loves this blog (thanks!) and asked me to do a post on financial issues for newlyweds. Given that money problems are the #1 cause of stress in a relationship and the #1 cause of divorce/relationship breakdown, this is definitely an issue that couples should tackle right away. To be honest, I think talks about money issues should happen before taking the walk down the aisle, however I do believe that there are always going to be disagreements about money – and it’s good to have a strategy in place to deal with them as they come up. Especially if you are older and have supported yourself, disclosing your financial background to each other is a must. Do you have any debts your partner isn’t aware of? How much have you saved, how much have you invested? Have you ever declared bankruptcy? Coming clean about where you stand financially is incredibly important, just like coming clean about your sexual past and medical history are. Next you need to come up with a way to pay off any debt you have. And if you have a problem with taking on your partner’s debt and incorporating it into your lifestyle, this is a red flag that you shouldn’t be getting married, or at least not yet. If your spouse has a lot of debt – for whatever reason – you need to be able to let go of any resentment from the beginning, because otherwise it will kill your relationship. Do you plan to pool your finances or keep them separate? Personally, I think once a couple makes a commitment to one another, whether it’s through marriage or starting a family or whatever, I really feel that pooling your finances and treating all money as “ours” (vs. “mine” and “theirs”) is the way to go. Even if you start off earning the same amount, this WILL change over time. It would be a red flag to me if my partner was possessive over the money he makes. Because what happens if one of you loses their job? What if one of you gets a huge raise? Gets sick and can’t work? Takes a step back in their career to care for children, or elderly parent? It can get very complicated and create a weird power struggle too. I hope if you get married, you plan to be so for life and I can’t see a situation where each partner has to “pay their own way” through it will work in the long run. In my opinion, once you decide to marry/start a family you are in an equal partnership. Who earns what is not important – it becomes what the family earns and what the family spends and both partners should have equal say. A great place to start this is by checking out my budget guide. Now, I’m not saying that couples shouldn’t have any of their “own” money – some people like to have their own account and have an agreed upon amount set aside for them to spend on whatever they want (whether its for being able to surprise their partner with a gift or buy themselves something frivolous without feeling guilty). As long as this is fair (just because the husband “earns” the money doesn’t mean he should get $1,000 per month “blow money” while the stay at home mom gets $20) and that both agree on it and revise it periodically to make sure it is still working for the family situation. I do recommend one person being “in charge” of managing the finances but making sure they touch base with the other person on a regular basis to keep them up to date. The ONE exception to this is if you marry a person/start a family and realize later that they have a problem with money (gambling, excessive spending etc) and you need to separate your finances to protect the family. But this is a huge red flag and should be dealt with with the same seriousness as an alcohol addiction or drug addiction would be. I think it’s really important to discuss who you, as a family, are willing to provide (and accept!) financial support from. For example, some people strongly believe that parents should pay for their kids post-secondary education while others believe kids should make their own way. This becomes an especially tricky subject when one family is in a worse financial situation then the other (say your family are super-duper wealthy, but your in-laws are barely scraping by). What about helping parents who are in a worse financial situation? Siblings? What kind of help are you willing to provide? A one-time loan? A lump sum gift? An allowance? Obligation to pay for a specific bill for a specific period of time (or indefinitely)? Look, you don’t have to agree right away but you will need to compromise at some point. Maybe you agree to help your kids by paying their tuition but they need to come up with living costs on living. Maybe you agree to pay your parent’s medical insurance or for their utilities but not give them a lump sum to pay off their mortgage. Maybe you pay for your brother-in-law to fly over for Christmas but you don’t offer to pay off his credit card (even if you can afford it). Whatever you decide though, you need to remember that you and your spouse have to come first and that you need to be able to afford the help you are providing. Under NO circumstances should YOU be going into debt to pay for your child’s university or to pay off your sister’s car loan or paying your mother-in-laws mortgage. You should not be sacrificing your savings or retirement to pay for your daughter’s wedding. In any case, whenever you are faced with a family member in need, you both need to sit down and come up with a plan that you are both ok with and you need to stick to it. Remember that at the beginning especially, there may be some conflict and coming to terms terms with your partner’s money personality. That’s ok! But hopefully the person you are with has similar values and goals so you shouldn’t be too different when it comes to being responsible with money. There will often be one person who is more of a “spender” and one more of a “saver” (if you are both “spenders” it is that much more important you both learn to stick to a budget). It may also be hard on someone who has been managing their money themselves for a long time to share that power and suddenly need to have to discuss purchases they wouldn’t have thought about in the past. So I highly recommend sitting down periodically and discussing things that are important to each of you and make sure you work them into your budget. If you want to travel and your husband loves having a new car every few years, figure out how much you can realistically afford and if it meets your overall long term goals. Do you want to buy a house? Retire at a certain age? Pay for your kids university? You may have to compromise on things that you want and you both need to be on the same page about what those compromises will be. I recently had a reader ask me whether the Housing & Fixed essential expenses should still be under my recommended 35-40% threshold after childcare expenses are added. This is a great question, and I’ll admit something I forgot to factor in realistically when I was drafting my budget template. I know that in some places, childcare is very affordable, but in others, its crazy expensive. I learned this firsthand when I realized we were paying only $50 less a month for childcare – for ONE child – than our mortgage. 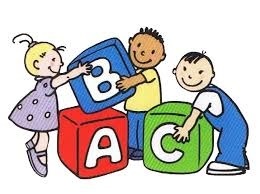 So I’ve decided to re-jig the budget for those who have those substantial childcare costs to help them budget better and make sure that it doesn’t skew their budgets too much. I’ve moved childcare from the Housing & Fixed expense category to the Life category. However, doing so would pretty much kill most people’s life category and would be unrealistic. So, while I wouldn’t recommend doing this for ANY OTHER circumstance, I would lower the Future category from the recommend 20% to 10% and transfer that 10% to Life for the period your child(ren) require child care. The reason is that unlike an expense like a car, where you determine you have $400 per month to spend and sticking to that would only require picking a cheaper model car, childcare isn’t as flexible. I mean, sure, there are always cheaper options in theory, but in practice they may not be. The problem with cheaper childcare is that a) it may not be available (seriously, some places have waitlists that are over 500 kids long) b) may be available but only by an unlicensed provider or c) may be at a very inconvenient location. And at the end of the day, you need to pick the childcare option that you, as a parent, feel most comfortable with. This is one category where I don’t think you should look for the cheapest option – you pick the option that gives you most peace of mind. The reason I choose to make a sacrifice in the Future category is because childcare is not a cost that will last forever or even a very long time, like say, a mortgage. Therefore I think its acceptable to skimp a bit on savings and perhaps repay debt at a slower pace while you have to pay for childcare. At tax time, allocate any refund you have to boost your savings – either in an RRSP or TFSA, whatever, to help ensure that you are still saving something. Yes, it might be nice to use that money for a vacation or upgrading your bathroom, but I would take at least 75% of it to repay down debt (like a line of credit) or boost savings to ensure you are continuously building that cushion. In Canada, the lower income earning parent can claim up to $7,000 per child (six and under) per year in childcare expenses (the first time I realized it was just $7,000 I was like “WAT” — because my annual child care bill was over $16,000 – UGH), but at least it works out to be about $1,500 in tax refund money (based on a marginal tax rate of 22%). Make sure you get a good Line of Credit (home equity ones usually have the lowest interest) secured for emergencies. Normally I would recommend building up a solid emergency fund for emergencies, but when your daycare costs are astronomical, this could be very hard and you need to have some sort of easy-access money prepared. Then as soon as your child no longer requires daycare or you manage to find a much cheaper option, then you boost your savings again. If you are buying a house, or close to refinancing, consider choosing a longer amortization period, if you are eligible. This will decrease your monthly mortgage payments and give you more budget for childcare. Ok, yes, you will end up paying more interest for a short while, but hear me out: most mortgage terms are for 5 years after which you have to refinance. So you just pay less on your mortgage for those few years and then when time comes to refinance again and you no longer have to pay for child care, you just lower your amortization period to make up for it. – The first and easiest is to have your eligible dependents (i.e. you kids) added to your TD1 form (here is the Ontario one), which will deduct the amount of income taxes are deducted from your pay cheque, thus increasing your net take-home pay. – Make sure you are getting the Universal Child Care Benefit! Its $100 per child per month until they are 6 years old – and EVERY Canadian family qualifies. It is taxable however, so remember to include it in your tax return. – If you have a credit card balance and are paying more than your interest on a Line of Credit, transfer the balances to save on interest costs. Then cut up the cards (well, keep one for emergencies) because carrying a balance on a credit card is probably the stupidest financial mistake you can make. – If you have more than one child, consider getting a nanny. A nanny will usually cost you just over what one child in daycare costs, but will be significantly less than having two kids in care, especially if you have a space for them to live in. However, as long as you aren’t going into debt to pay for childcare, you gotta do what you gotta do. Even if it means that your budget it out of whack for a while, as long as you aren’t going into debt to pay for it, you are fine. Just stay conscious of your budget overall and continually look to see where you can cut expenses in the short run.